Enjoy Florida living at Edgewater Village, a condo community with low fees. This fully furnished unit is located on the second floor in building H. Great location with southern rear exposure and loads of privacy with wooded/preserve view. 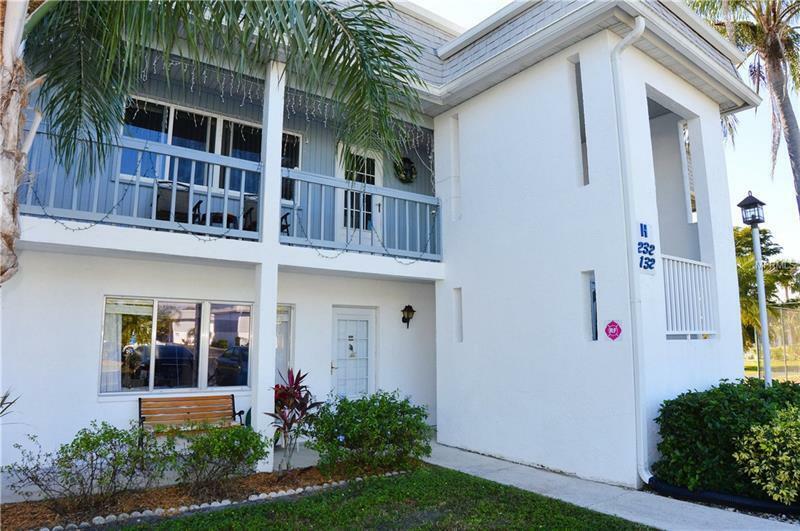 Owners have taken great care of this unit and made many improvements including enclosed and tiled lanai and laminate floors throughout. Spacious 14'8" x 11'1" bedrooms with walk-in closets and sliding glass doors out to lanai. Easy living, short distance to the heated swimming pool, tennis courts and shuffleboard. Perfect central location, only minutes to some of Floridaâs best GOLFING, DINING, SHOPPING, PARKS, PUBLIC BOAT RAMPS, MARINAS, BEACHES, I-75, the shopping mall, short drive to the Barrier Islands of Manasota Key and Boca Grande & 10 minutes to the Historic Riverfront Downtown Punta Gorda, Harborwalk & Fishermenâs Village. No age restrictions. No CDD Tax. Available for occupancy NOW to enjoy for the winter. Priced to sell! Schedule a showing today. Pet Restrictions: One pet per unit. Tenants may not have pets.